Originally published under the title "Turkey's Bizarre Approach to Missile Defense". EXECUTIVE SUMMARY: The US administration has offered to sell $3.5 billion worth of Patriot missiles to Turkey, apparently in an effort to stop Ankara from going ahead with a planned S-400 deal with Moscow. The Turks will probably shrug off the offer (after making sure it's not an offer they can't refuse). For reasons largely unrelated to its military requirements, Ankara has no intention of scrapping the S-400 deal and risking its geostrategic bonds with Moscow. When Turkey's powerful generals decided their country needed an indigenous long-range air and anti-missile defense system, Recep Tayyip Erdoğan was a freshly elected mayor of Istanbul; Saddam Hussein was enjoying his Baghdad palace; Microsoft was releasing Windows 95, and Israeli PM Yitzhak Rabin was assassinated at a peace rally in Tel Aviv. Nearly a quarter century later, Turkey is still a few years away from building its first long-range defense architecture, and it will not be an indigenous system. Turkey's missile defense journey has taken several bizarre turns. In 2013, the country decided to become the first NATO ally to deploy a Chinese-made air defense system on its soil. * It later gave up the idea. In December 2017, Ankara unveiled a deal with Moscow for the acquisition of the Russian-made S-400 system, volunteering to become the first NATO country to deploy it. These days, Turkey is toying with the idea of becoming the first NATO country to deploy both the US Patriot system and the Russian S-400 system on its soil. In early January the US administration offered to sell $3.5 billion worth of Patriot missiles to Turkey, apparently in an effort to stop Ankara from going ahead with the S-400 deal with Moscow. The Turks will probably shrug off the offer, once they are certain it is not an offer they can't refuse. For reasons largely unrelated to its military requirements, Ankara has no intention of scrapping the S-400 deal and risking its geostrategic bonds with Moscow. Washington's offer would ostensibly replace the S-400 deal, not complement it. 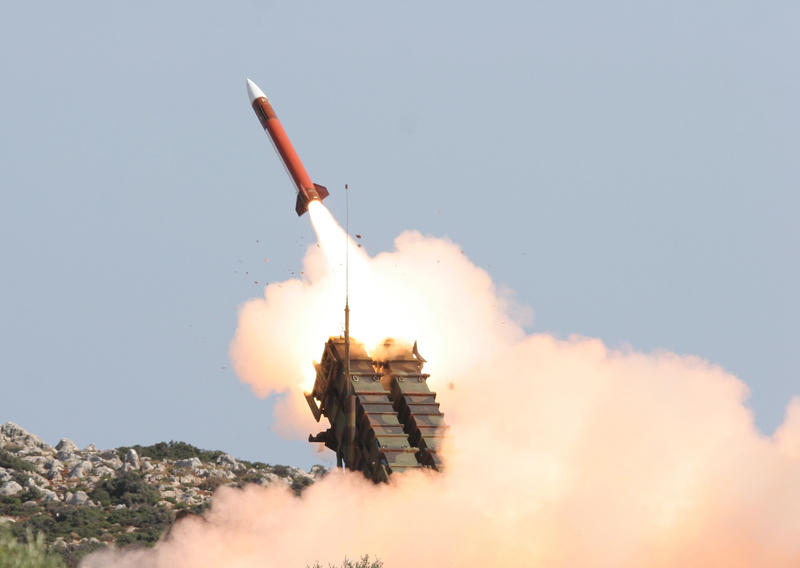 From a military/security point of view, Turkey needs the Patriot system. The S-400 architecture would in theory be an efficient deterrent against NATO assets – but not against Russian-made air and missile assets. The real air and missile threat to Turkey's security would come from across the eastern, southeastern, and southern borders, where most offensive assets deployed are Russian-made. About half of Turkey's network-based air defense picture was paid for by NATO, and Turkey is part of NATO's Air Defense Ground Environment. Without NATO's consent, it will be impossible for Ankara to make any non-NATO system, especially a Russian one, operable with these assets (the Turkish program consists of radar, launcher, and interceptor missiles). What to do? If Turkey is politically obliged to remain committed to the S-400 deal, then the most rational thing for it to do – theoretically – would be to deploy the Patriots at selected military- or energy-strategic points of defense in the country's east, southeast, and south while deploying the S-400s to equivalent points in the capital and in the west. Turkey's other problems are its budget and vast geography. If Ankara goes for both options, it would spend a combined $6.2 billion ($2.5 billion for the S-400s and $3.7 billion for the Patriots). The number of systems and batteries in either deal would be too small to protect hundreds of strategic points of defense, including critical military command centers; military and civilian shipyards; critical defense, ammunition, and aerospace production plants; oil refineries; oil and natural gas pipelines; and military and civilian airports and ports. That means a shopping list of more than 20 systems in total, which goes far beyond Turkey's increasingly overstretched public finances. Another problem is the US Congress. The Turks know the chances of Congressional approval for a Patriot deal would be slim given Turkey's ever more problematic relations with Israel. In December, Ankara resumed its usual Israel-bashing when top Turkish officials, including Erdoğan and his foreign minister, Mevlut Çavuşoğlu, called PM Benjamin Netanyahu a cold-blooded murderer. Congressional go-ahead cannot be guaranteed and the Turks do not want to be humiliated by a rejection, especially as the country heads for critical local elections on March 31. Technology transfer is another problematic issue. From past experience, the Turks know a Patriot deal would not come with a generous technology transfer offer. That is not the American way. Yet "some kind of a breakthrough and a special offer" could win the support of two critical Turkish defense companies, military electronics specialist Aselsan and missile-maker Roketsan, for the Patriot deal. When Erdoğan decided to go for the S-400s he had good reason to politically and financially bribe Vladimir Putin. Considering President Trump's newfound respect and leniency for Erdoğan, Putin's man in Ankara has no reason to bribe the US president. * In September 2013, in a move that astonished its western allies, the Turkish government selected China Precision Import-Export Corp. (CPMIEC) for its air defense program. CPMIEC's $3.44 billion bid had beaten the Russian S-300/S-400 system; a US consortium of Lockheed Martin and Raytheon, maker of the Patriot system; and the European Eurosam, maker of the SAMP/T. The Russian bid was the first to be disqualified because the cost was "exorbitantly high."